There have been a number of major oil spills across the globe over the last century. Not all have been devastating environmentally, which is something to be thankful for, but all are polluting the environment; resulting in damage to animals, wildlife, land and sea. 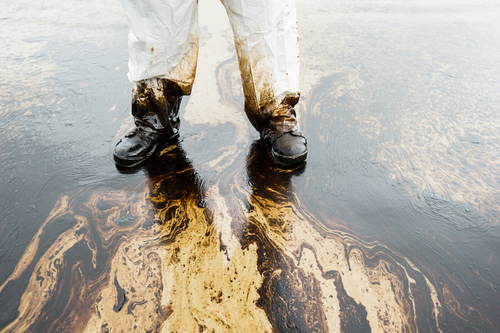 Many oil spills take years to fully clean-up, which is often at the detriment to those most affected. One of the biggest oil spills in history was during the Gulf War, 1991. Between 240 and 336 million gallons of oil was released into the Persian Gulf, covering an area the size of Hawaii. Clean-up operations had to wait until the war was over, but almost 58 million gallons was recovered. A tanker caught fire off the coast of South Africa in 1983. Instead of tackling the blaze, the tanker was abandoned and left to drift into the ocean. It broke in half and spilled almost 79 million gallons of oil into the sea. Thousands of birds on a nearby island were coated in oil as a consequence of this distressing oil spill. The Gulf of Mexico oil spill in 2010 was probably the most prominent oil spill in recent history. The oil leaked for nearly 90 days – a massive 210 million US gallons spilled into the Gulf of Mexico and claimed the lives of 11 people. The oil well was officially sealed six months after the spill was first noticed, but reports indicated it was still leaking two years later. There was extensive damage to wildlife, animals on land and in the ocean, as well as it shattering the tourism industries. A story surrounded in controversy; this is one of the most well-known oil spills in our history. Here at Tuffa, we are dedicated to providing the highest quality bunded oil storage tanks, to ensure that oil volumes up to 100,000 litres stay safe and in place, no matter what. We work around pollution control, and our products are protected with up to 2-hour fire protection. Bespoke liquid storage tanks are our speciality, and we work with some of the biggest, safest names across many industries. You can rest assured that when you store liquid in a tank from Tuffa, you are in safe hands. Our accreditations and awards speak for themselves.